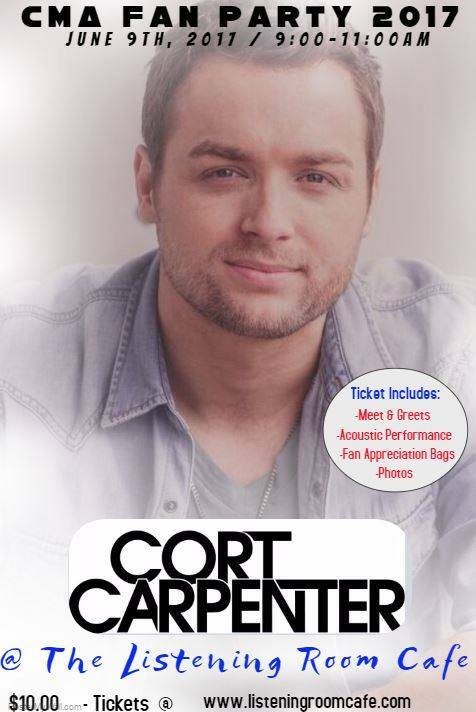 Cort Carpenter 2017 CMA Fest Fan Party 6/9! 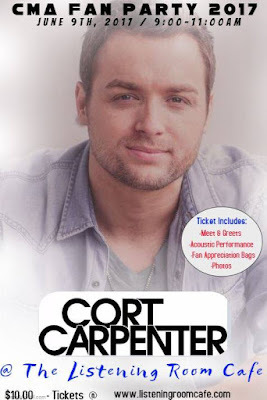 Cort Carpenter's 3rd Annual CMA Fan Fest Party will be held Friday, June 9th, from 9:00am-11:00am at the Listening Room Cafe. Cort will be signing autographs, taking photos, and playing an acoustic set for you. Tickets are $10 and includes: a Fan Appreciation Bag, Meet & Greet Photos, Intimate Acoustic Set , and More! Tickets: $10 - Available here!